Elizabeth (Lisa) Petrulis honors our animal connections with portrait scenarios. Using classic black and white she paints the elegance of animal forms. Dramatic zoomed-in views of intimate slices of life, where the empty spaces are energized by character and friendship. 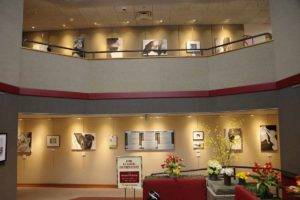 Raised by musicians Petrulis earned an MFA (in painting and sculpture) from Indiana State University and is retired from the Swope Art Museum both in Terre Haute. 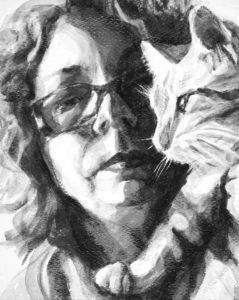 Today she offers commission portraits, volunteers, and lives in rural Marshall, Illinois with her husband and Kitten Caboodle. Read about and see the Portfolios. Animal companions Ondine and Scamper eased Elizabeth (Lisa) Petrulis through childhood relocations and awkward adolescence. 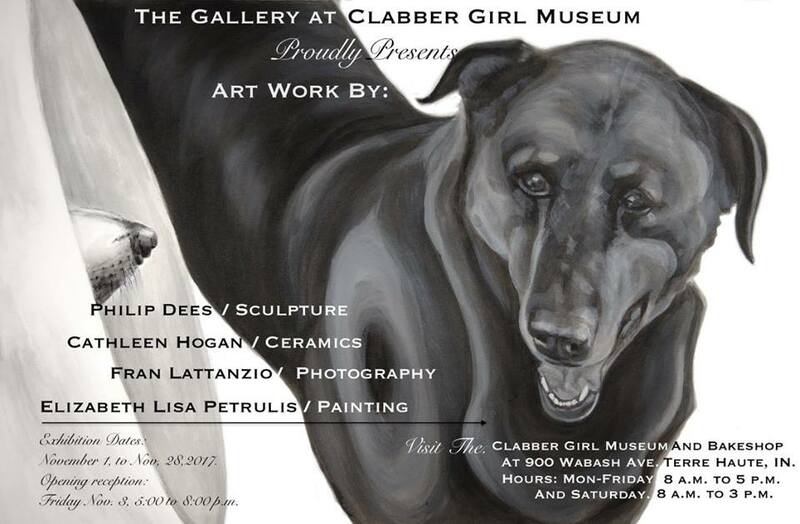 In honor of these and other rescued creatures today she paints pet portraits, animals, and companion scenarios in order to spread the amusement, comfort and joy. 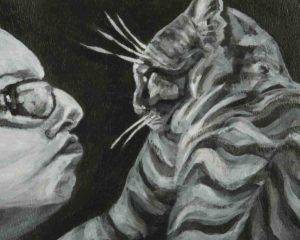 She uses classic black and white acrylic to create intimate slices-of-life. Zoomed-in views reveal the distinctive shapes of individuals while the empty spaces are charged by the silent dialogue of relationships. In 2014 she reentered the art world as an independent artist after two decades working at the Swope Art Museum in Terre Haute, Indiana. There she held positions as preparator, registrar, and finally curator. In rural Marshall, Illinois, near the spot where the Wabash River begins to divide the states of Illinois and Indiana, Lisa shares a home (and studio) with her husband, Boodle the cat, and the occasional uninvited critter. Sadly the original cat and dog models for her paintings have passed from old age. 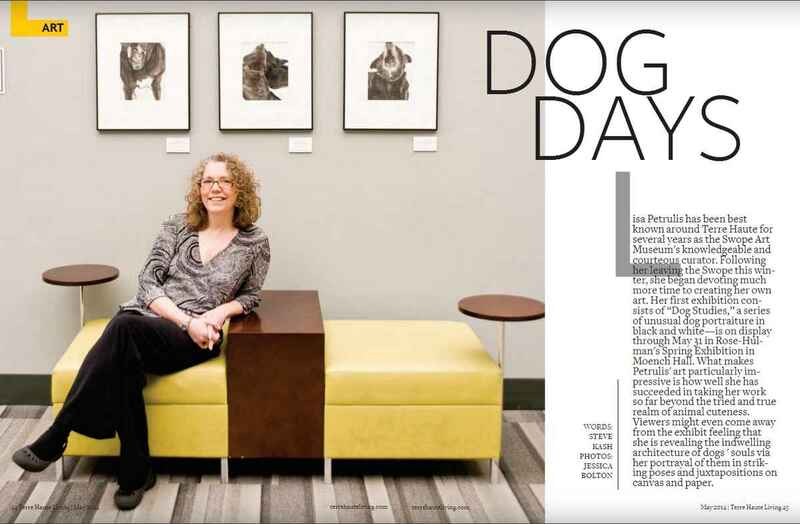 Ms. Petrulis was nurtured in a family of musicians but was drawn to the visual arts. Much later she completed the collections care core program at Campbell Center for Historic Preservation Studies, in Mt. Carroll, IL. On occasion Petrulis leaves the crop fields and wooded creeks to venture into civilization. In the community, Elizabeth Lisa Petrulis serves on the site selection committee of Art Spaces, Inc.-Wabash Valley Outdoor Sculpture Collection, where she previously served on the Board of Directors. 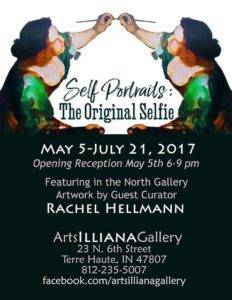 She is a member of Gaslight Art Colony, a local non profit, which hosts exhibitions and classes; and Arts Illiana, an arts agency in Terre Haute, IN. 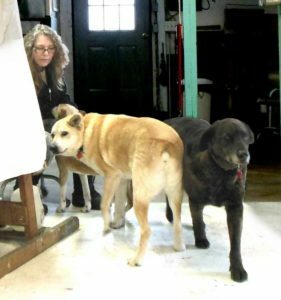 Elizabeth Lisa Petrulis in the studio circa 2013 with Sadie, Dino, and Mookie. 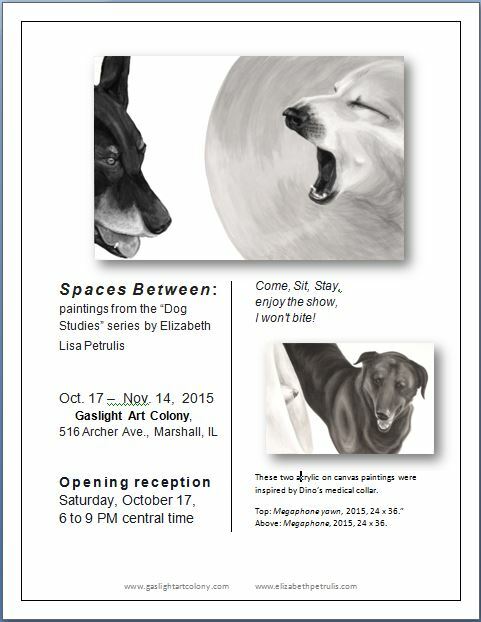 and officiates juried art exhibitions. 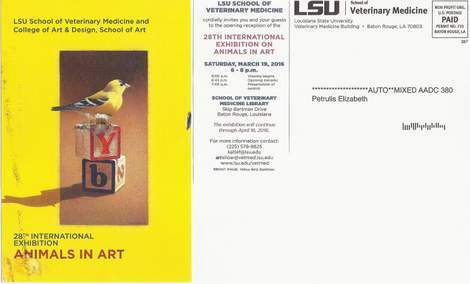 Over the years she and her husband have homed several cats and dogs, all of whom have modeled for her paintings. The current studio muse and house guest (a little bit of a rascally diva) is Kitten Caboodle. 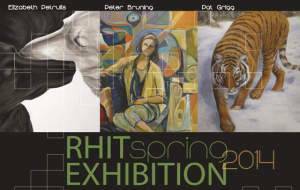 Rose-Hulman Institute of Technology, Spring Art Exhibition, (three solo artists),Rose-Hulman Institute of Technology, Terre Haute, IN, January 20 – May 31, 2014.